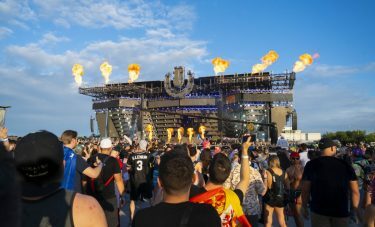 Iconic DJ Steve Aoki took the stage Sunday afternoon at Ultra. 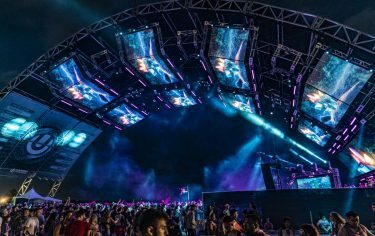 Though the crowd was electric throughout the festival, few performers energized the 165,000 guests quite like the Miami-born Aoki. In his signature style, he popped champagne, blasted confetti and cheered on a particularly rowdy man who crowd surfed toward the stage in an inflatable raft. Aoki performed new tracks from his latest record, “Wonderland,” during his set Sunday afternoon. Aoki, 34, started his label, Dim Mak Records in 1996, but released a mix compilation in 2008. Since then, he’s worked with several well-known artists, including LMFAO, Kid Cudi and Diplo, who is scheduled to perform at the University of Miami on April 12. On his first electronic production, Aoki and Diplo both created two separate remixes of Bloc Party’s “Helicopter.” The remixes were released at the same time. Performing at Ultra Music Festival is a treat for Aoki, since it takes place in his hometown. 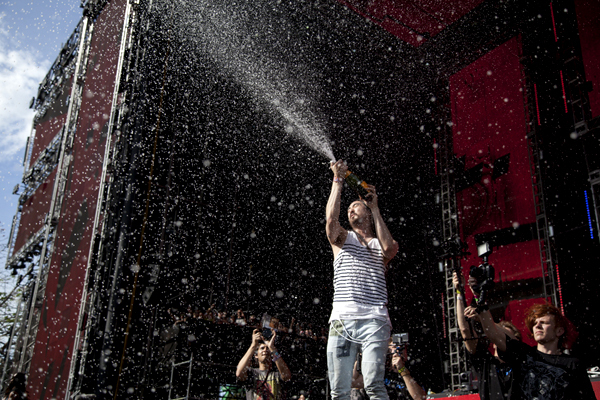 Known for straying from his laptop while he’s on stage and engaging in stunts including stage dives, Aoki says his tradition of spraying the first few rows of his crowd with champagne during his set serves a purpose. Aoki also threw water bottles and two birthday cakes at the audience toward the end of his Sunday set.